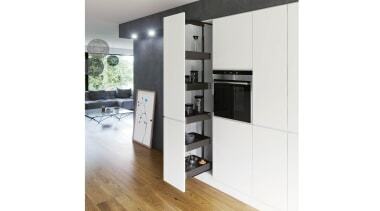 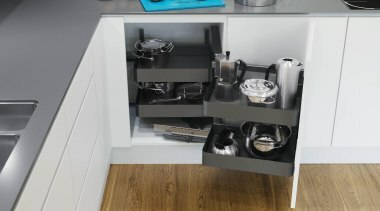 Planero combines durable German design, optimal storage and simple installation. 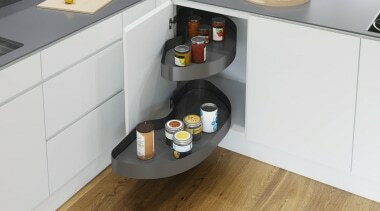 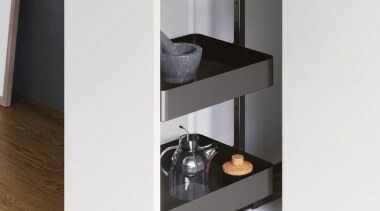 Planero features shelves with long-lasting, powder coated flat steel in stylish lava gray. 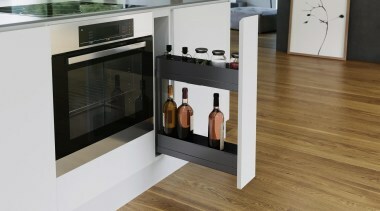 Technical components are minimally visible, for stunning aesthetics. 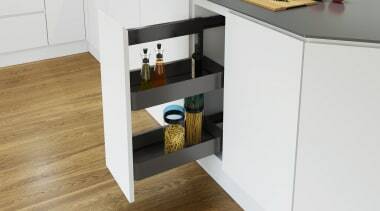 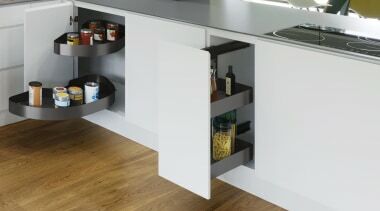 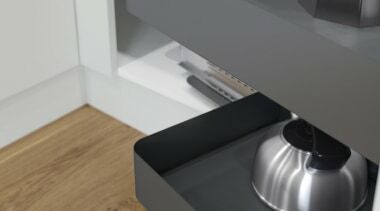 Key Vauth Sagel units are available in the brand new, very contemporary Planero style; VS TAL Larder pull out pantry, VS COR Fold and Cornerstone MAXX units for blind corners, VS SUB Side and VS SUB Slim under bench pull out units.